Making sure digital TV aerials and satellite systems are OK in MK is our mission here at Aylesbury Aerials & Satellites. Our experienced Technicians are on-call 7 days a week, ready to install, repair and advise on a full range of digital TV and satellite TV matters. We supply the kit, get dishes up on roofs and give customers in Milton Keynes the low-down on everything to do with Sky, Freeview, Freesat and other entertainment systems. Our Engineers are ready to go places other companies might refuse. So if your installation requires high-up work or you’ve a repair job in a tricky to reach place, call us on 0800 046 9750. 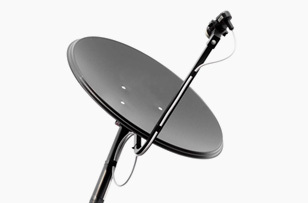 Satellite Installation Milton Keynes: Call us and the Engineer who’ll answer the call-out will have all the skills and knowledge needed to complete your digital TV or satellite TV related task. And in 95% of cases, the job will get done in one visit. Pretty impressive. 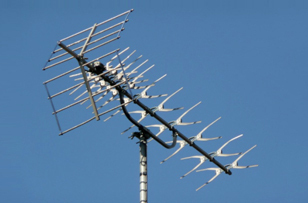 TV Aerial Repairs Milton Keynes: We’ve experience of carrying out all kinds of installations and repairs for digital aerials and satellite systems, so can supply quick quotes that offer great value for money. Sky Satellite Installer Milton Keynes: Milton Keynes residents and businesses rely on us for the quality of our digital TV aerials and satellites services. Why not see if we’re as good as they say we are? Rapid repairs. Installations in double-quick time. Unbelievably fast upgrades. Wherever you live in Milton Keynes or throughout the MK postcode areas of Bletchley, Wolverton, Newport Pagnall, Woburn Sands, Woverton and Stony Stratford you’ll find our satellite TV and digital aerial services are quick. Often we can get to you on the day you call, and 95% of the time the job gets done on the same day too. Aylesbury Aerials & Satellites are ready to help you in Milton Keynes. 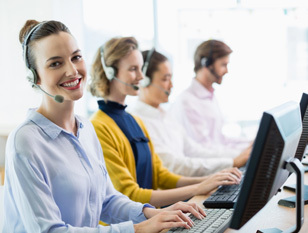 Call our friendly team on 0800 046 9750. What to do when your digital TV service goes wrong? Easy. Call Aylesbury Aerials & Satellites. We’re on call all week long, ready to inspect aerials on roofs and buildings, to install the brand new and replace the faulty. Don’t go without Freeview or your other digital TV service a second longer than you need to. Call on our expertise, and rely on us to supply all your digital TV aerials and amplifiers and provide the expertise required to fix or install them. It has been known for companies to refuse an installation because of difficulties accessing the aerial due to height or other restrictions. But that sort of thing doesn’t put off our Engineers. They’re qualified to work at height, so call us. Dishes that have been knocked off course. Sky-Q set-top boxes that are playing up. Faulty Freesat. That new foreign language satellite system you want installing. These are some of the reasons why our Engineers have been called to Milton Keynes by business and domestic customers. Whatever the reasons you need us, we’re ready to answer the call. Expect an ultra-friendly service from the moment we answer the phone to the time when the job is completed. And in 95% of cases, that happens on the same day you call us. For the best satellite TV and digital TV aerial services in Milton Keynes, call Aylesbury Aerials & Satellites 7 days a week on 0800 046 9750.